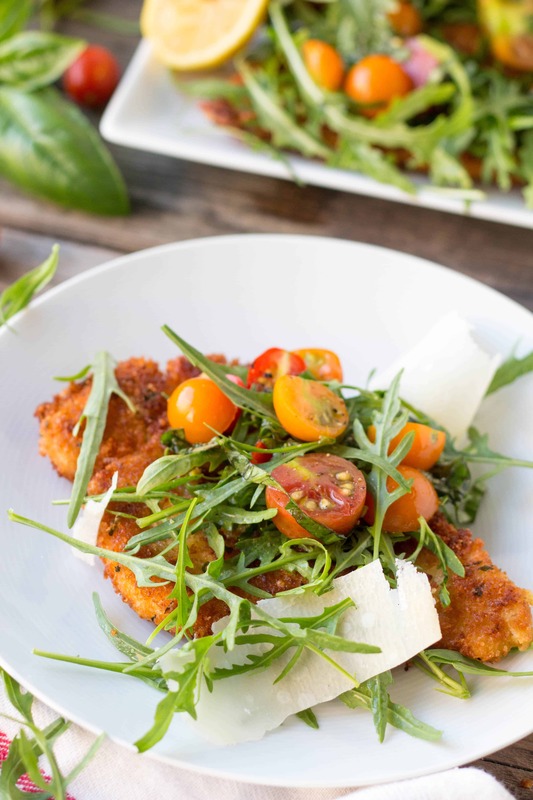 Look no further, this is the BEST reicpe for Chicken Milanese EVER! 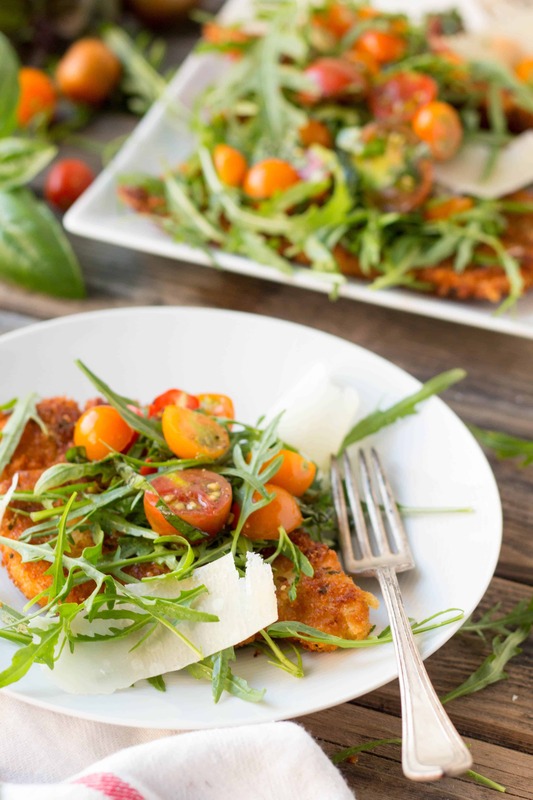 Super crispy Italian chicken cutlets served with a lemony arugula tomato salad. SO good! As you’re reading this post, I’m just stepping foot onto Italian soil for the first time ever in my life. Over the next two weeks, Chaser and I will be eating, drinking and galavanting our way through a country I’ve been dreaming about visiting since I was a little girl. Chances are I’m tired, disoriented, my neck is sore, and I’m most definitely hungry. But the excitement I have for being where I am trumps everything. I can’t wait to share this incredible journey with you all over the next few weeks. Are you as excited as I am? I doubt it’s even humanly possible. Our plane arrived today in Milan, where we won’t be spending much time, but I’m hoping to sample the local delicacy that is Milanesa while we’re here. These thinly sliced pieces of meat (usually veal) that are lightly breaded and fried, is one of my favorite meals of all time. My version of Milanesa uses chicken, and has been a staple in our house for a long time. Is it authentic? I have no idea But check back with me in a few weeks and I’ll be able to give you a full report. All I know, is it’s damn delicious. Everyone where I’m from learned to make a chicken cutlet around the same time they learned to make a meatball. Chicken cutlets are a way of life in New Jersey. They get smothered with sauce and cheese for chicken parm, cut up for subs and sandwiches, and grubbed on late at night, ice cold, straight out of the fridge. But this has always been my favorite way to eat them, with lots of lemon and a simple arugula salad. 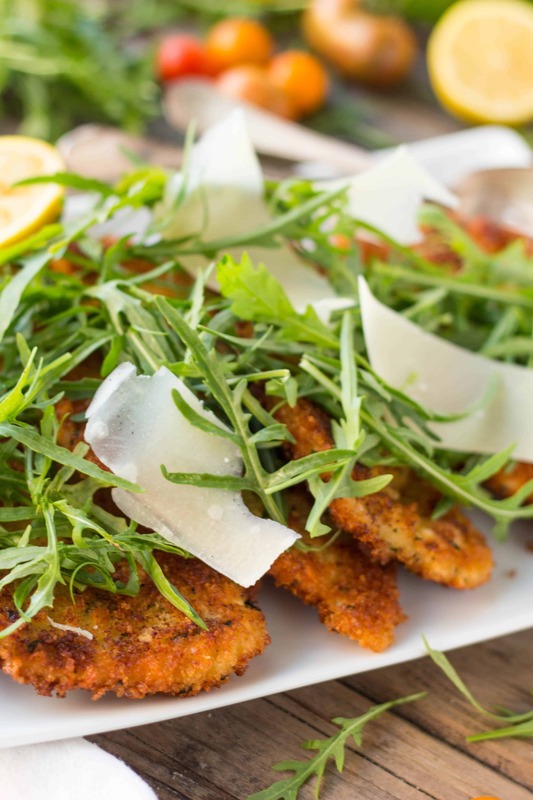 Chicken Milanese is a fairly simple dish, but what sets these chicken cutlets apart from so many others is all in the details. 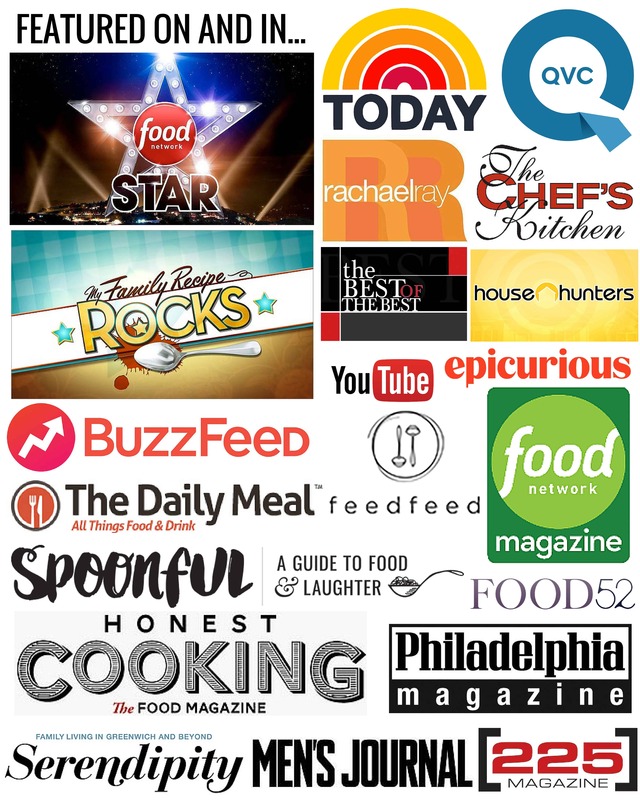 The secret is the breadcrumbs: I always make my own. I used to make the breadcrumbs themselves from scratch, and if I ever have some old bread laying around I still do. But more recently I’ve been doctoring up plain panko breadcrumbs with garlic, herbs and lots and lots of cheese. Taking a little extra time to make your own breadcrumb mix results in a chicken cutlet that’s extra crunchy and extra flavorful. I like to think of the chicken cutlets in this dish as a big meaty croutons. In a medium, shallow bowl, combine the panko, garlic, parsley, salt, pepper, 3/4 cup pecorino Romano, and set aside. In another medium, shallow bowl, whisk together 3 eggs with 1/2 cup pecorino Romano and 1 tablespoon water until fully combined. Pour the flour into another shallow bowl or plate. Cut the chicken into thin, even slices. Take one piece of thinly sliced chicken and place it on a cutting board. Place a piece of plastic wrap over top, and use a meat mallet to pound it out to be about 1/2 inch thick. Repeat with the remaining chicken, then season each piece with salt and pepper, generously on each side. Set up the breading station so that the chicken is on the far left, then next to it the flour, then the egg, then the breadcrumbs, and then another plate to hold the breaded chicken. Take a piece of chicken and dip it into the flour to coat on all sides, then tap off the excess (*See note). Next, coat it in the egg mixture, and let the excess drip off. Then, into the breadcrumbs. Be sure to press it and move it around so that it’s thoroughly coated. Place the chicken on the reserved plate, and repeat with the remaining pieces. Heat a generous amount of olive oil in a large, heavy bottomed saute pan over medium-high heat, and preheat the oven to 300 degrees. Place 1-3 chicken breasts in at a time, depending on how many your pan can hold. Don’t overcrowd the pan. Cook until golden brown on each side, and then remove to paper towels or a rack to drain. Place each piece on a sheet pan and hold in the oven while you cook the remaining chicken. Combine the tomatoes, basil (optional), salt, pepper, lemon juice and olive oil in a bowl and stir to combine. 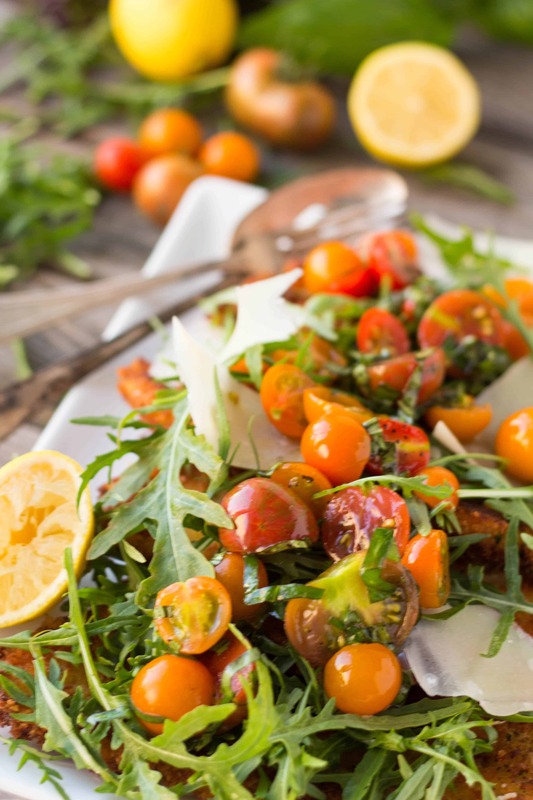 Just before serving, toss the arugula with the tomato mixture. 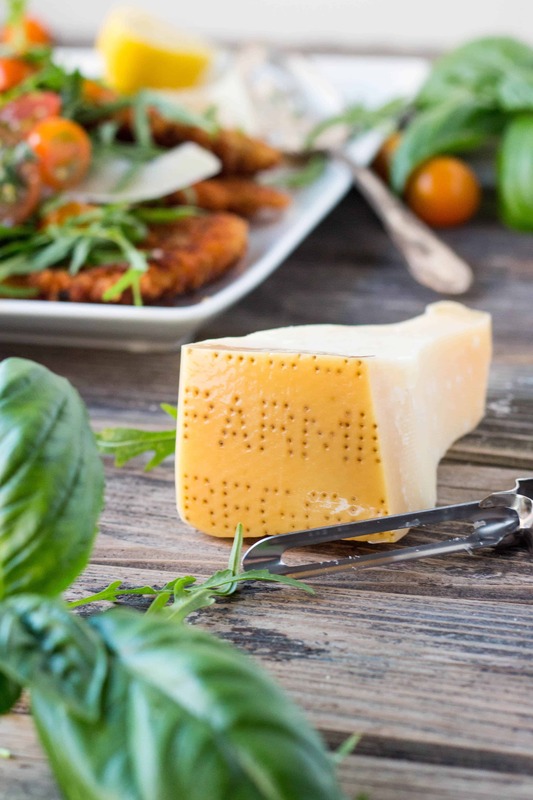 Serve each chicken breast topped with a big handful of the salad, then use a vegetable peeler to shave some fresh parmigiano Reggiano over the top. Serve with extra lemon wedges. Very simple dish to make but the deliciousness of this meal is gourmet! The way the cheeses are added to the breadcrumb and egg mixture is what gives it the extra special touch and flavor! Thanks Marianne! It’s one of my favorites of all time. So satisfying, simple and healthy!